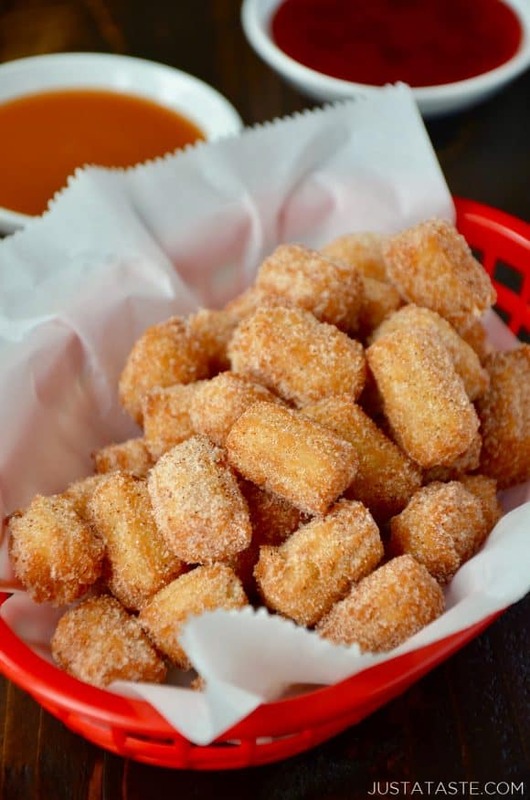 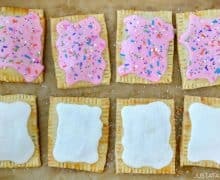 Calling all state fair food enthusiasts! 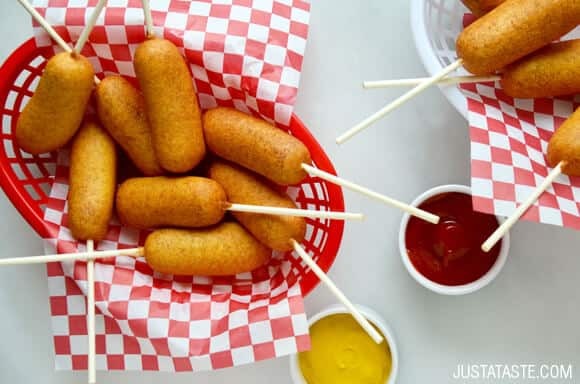 A carnival classic is getting a DIY makeover with this recipe for Easy Homemade Mini Corn Dogs. 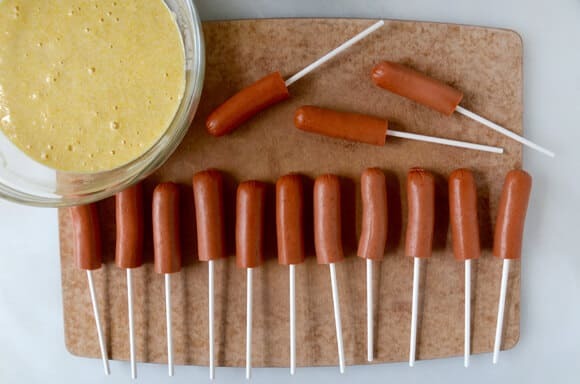 While chilled soups, 5-minute frozen yogurt and sangria popsicles are guaranteed to beat the heat, one thing is certain: It’s never officially summer until I get a taste of a good ol’ corn dog. 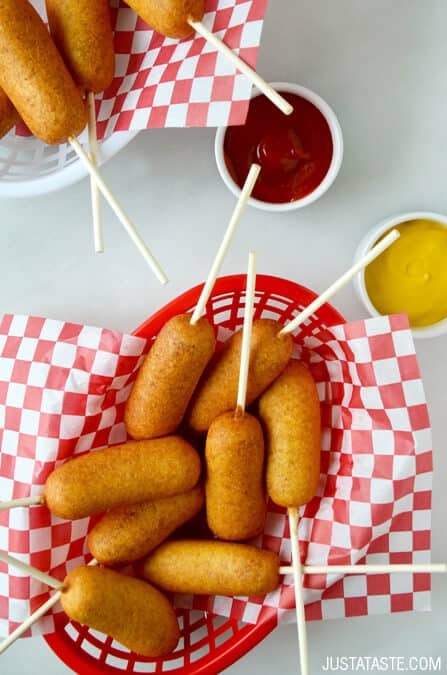 But you can skip the state fair and forget the freezer section of your grocery store because now homemade corn dogs can be on your menu any day of the year with this easy recipe. 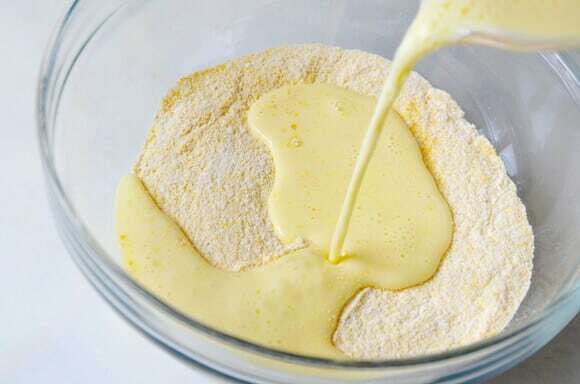 A quick-fix cornmeal batter coats the halved hot dogs, which are the perfect size for snacking or for packing in lunch boxes. 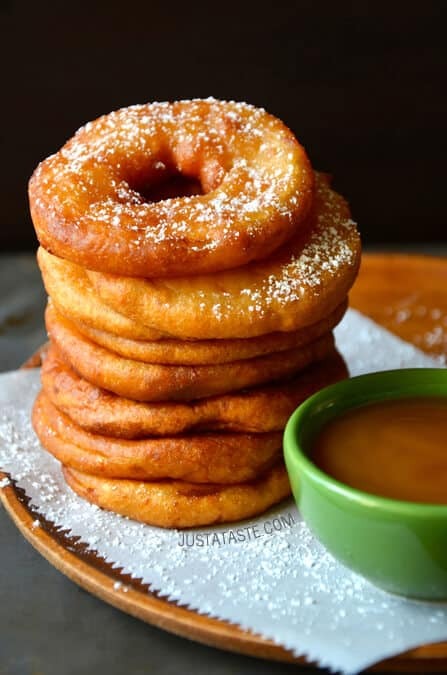 Dip and dunk them in your choice of condiments, then complete your DIY state fair feast with a side of French fries or crispy onion rings! 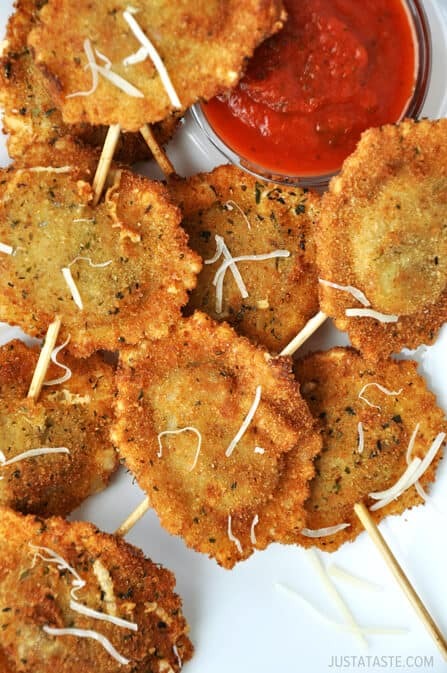 Keep the oil boiling and find more inspiration with additional deep-fried recipes. 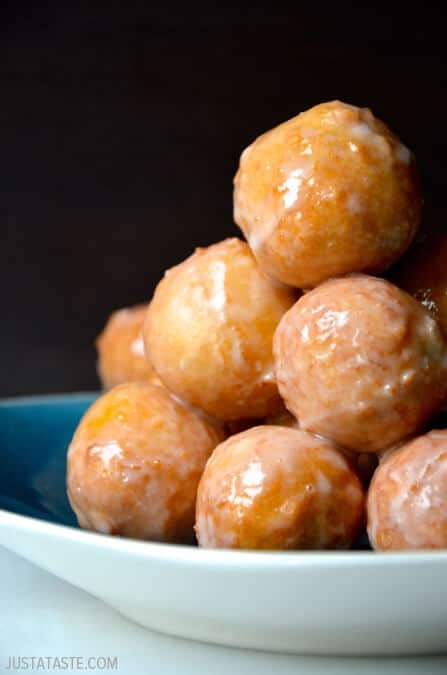 When dipping the hot dogs in the batter, it’s easiest if you pour the batter into a tall glass. 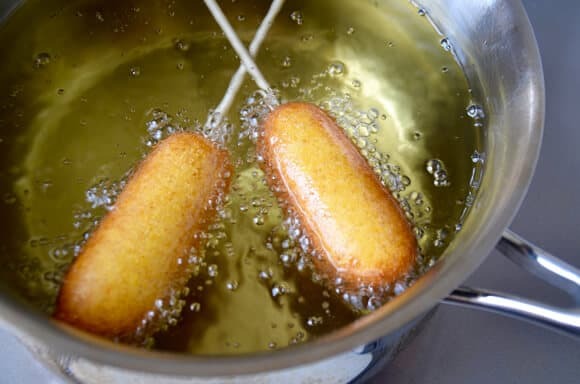 The lollipop sticks can be fried, so you can carefully lower the corn dogs into the oil, stick and all.